The Springfield Jr. Blues hosted a hockey camp this week for children ages 9-18 at The Nelson Center. Springfield Assistant Coach, Josh Dallmann, and Learn to Skate Coordinator and Power Hockey Instructor Jenn Fortin teamed up to teach the children for several hours each day. The instructors worked on and off the ice. On-ice time included working on passing, shooting, stick handling, puck handling, skating, and hockey skills. Off-ice, the teams worked on plyometrics, stick handling, and explosion training. The coaches were assisted by Springfield Jr. Blues players, Sam Sterne and Sam Swanson for the week! The NAHL has released the 16th annual Showcase schedule for 2018. The Showcase is held September 19-22nd at the Super Rink in Blaine, Minnesota. The Springfield Jr. Blues have announced their much-anticipated pre-season schedule for the 2018-2019 season. The Shreveport Mudbugs, the 2018 Robertson Cup winners, will play on Springfield’s home ice September 7th and 8th, during the pre-season. Friday September 7th, the game will start at 7:05, with the puck dropping at 6:05 on Saturday the 8th. The Shreveport Mudbugs are part of the NAHL South Division, and do not usually meet with Springfield during the regular season. Springfield will visit Shreveport first, with games over Labor Day weekend on Shreveport’s home ice. The Springfield Jr. Blues will also play the University of Illinois hockey team on Saturday, September 15th at 6:05, giving fans an extra game this pre-season. The official season opens for Springfield at home on September 28th. Tickets for all pre-season games will be just $5.00 at the door each night, for all fans. Over 120 players from around the world came to Springfield over the weekend, looking to score a spot on the Springfield Jr. Blues team. Many of the players from the 2017-18 team were also in attendance. There were six teams of players who skated for three days (2-4 games per player) in front of the team coaches and scouts, and in the end, only 30 players were selected. Main Camp was invitation-only event, while Draft Camp, which took place in May, is open to anyone 16-20 years of age. While coaches have selected their roster and players have been notified, the official list will not be released to the public until later in the summer. The National American Hockey League (NAHL) announced today the league has broken another record. For the fifth straight year, the NAHL has increased its number of NCAA commitments for players moving on to college to continue to play hockey. During the 2017-2018 hockey season, 312 commitments (and counting) were made to play NCAA college hockey. This number has increased from 305 the year before. Of the current 312 commitments this past season, 14 of them were Springfield Jr. Blues players or recent alumni. 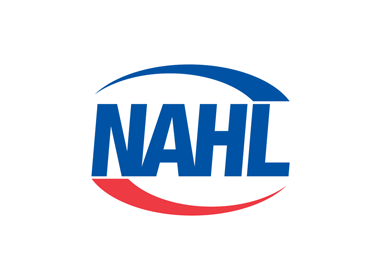 The NAHL continues to be a premier developmental league, with players going on to play NCAA hockey, and even move to the ECHL, AHL, and NHL. The Springfield Jr. Blues will host its annual Main Camp this weekend, July 13-15. Main Camp is open to the public and free to view! Springfield has invited over 120 players to try out at camp and will have games running all weekend. Games begin on Friday at noon, run all day Saturday, with a final All-Star game on Sunday at 3:00 pm. From this weekend, Springfield will pick a 30-man protected list of players to bring back in late August for practice. Springfield will host an equipment sale on Saturday from 10-12 in Locker Room A. The Springfield Jr. Blues will hold their annual equipment and merchandise sale on Saturday July 14th, 2018. The sale will run from 10:00 am until 12 noon inside Rink 1! You can also stay and watch prospective players and maybe run into a few fan-favorites, as Camp will be going on! The sale will include new and used equipment at discounted prices. It will also include merchandise. Rockford, Illinois native, and Springfield Jr. Blues fan favorite, Ethan Stewart has committed to play D1 college hockey at Ferris State University. Stewart has played 60 games this season, scoring 17 goals, and 30 assists for a total of 47 points. Stewart had one game winning goal this season and is looking strong in the post season.